The reasons to recycle household metal are endless. It helps the environment by reducing the need to mine new metal ore, saves tremendous amounts of energy, reduces the amount of unnecessary landfill, and puts cash in your pocket, making it a win-win for you and the environment. Whatever your reasons for recycling, we provide friendly and hassle-free service to help you. 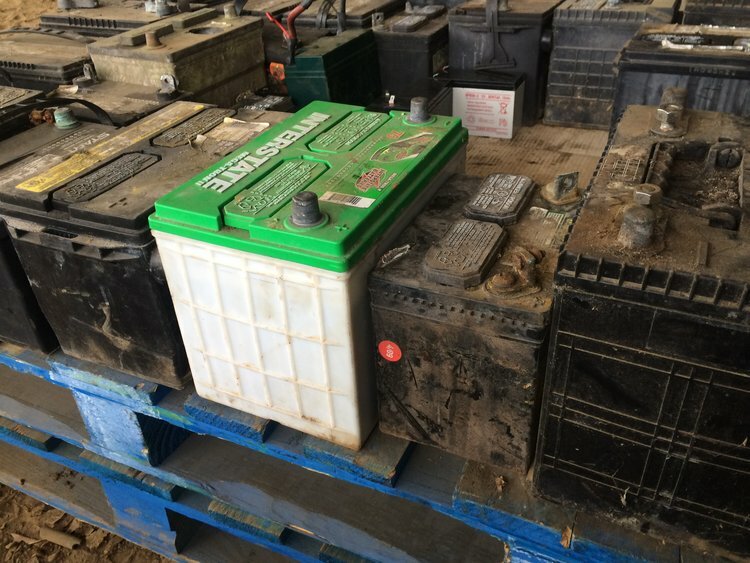 We take everything from household appliances to old machinery, aluminum, copper, brass, all types of e-scrap, auto batteries, and even industrial steel-case batteries. Our truck scales have large readouts that you can easily see from your vehicle while you are on the scale, and our staff is glad to help you unload your material. Check out the yard rules page to see items restricted by law and items we cannot accept. If your business generates metal scrap, we provide many cost effective ways for you to recycle your material and get the best possible return on it. Certified scales with scale printed weights, pricing based off a 3rd party index, and flexible, reliable trucking are just a few of the tools we use to provide excellent industrial recycling service. We provide 20-40 yard roll-off containers for customers within 100 miles from Mobile, AL. If your location needs multiple containers, we have extensive experience maximizing container placement and coordinating shipping schedules that work for you. We pride ourselves in making sure our containers are picked up in a timely manner, which in our opinion is the most important part of our container services. Our boxes are often picked up on the same day they are called in, and our trucks are available well beyond our business hours. Over the last 40 years, we have become one of the most trusted names in car crushing all over south Alabama, west Florida, and southeast Mississippi. We have many repeat customers that have allowed us to crush their vehicles regularly for decades, and we would love to get an opportunity to show you why these customers will only crush with us! We use sound environmental practices and will leave your yard spotless. We would love to have the opportunity to give you a quote today! We have extensive experience assisting demolition companies with scrap removal. Whether you need open-top trailers, flatbeds, of course roll-off containers, or whatever else is needed to remove your scrap quickly, we can provide it and work under whatever time restraints that you have. We will keep trucks with you until the job is done! When you need a metal structure removed, our expert crews can dismantle and downsize it, providing you with a hassle-free demolition service and reduced costs.